What can we believe about the food we eat? Where does reliable information come from? It turns out that most studies about health benefits of food are funded by companies that sell those foods. Unsavory Truth reveals how the food industry manipulates nutrition science. 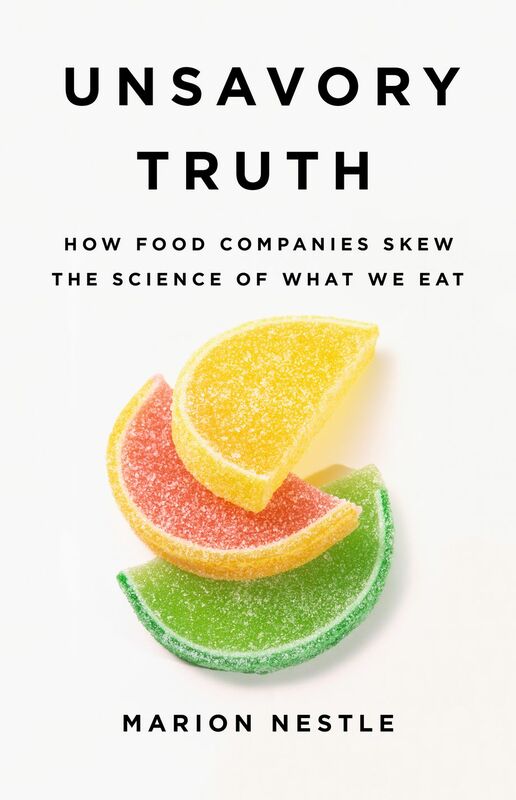 Author Marion Nestle explains these studies are more about marketing than science; they are often paid for by companies that sell those foods. Whether it’s a Coca-Cola-backed study hailing light exercise as a calorie neutralizer, or blueberry-sponsored investigators proclaiming that this fruit prevents erectile dysfunction, every corner of the food industry knows how to turn conflicted research into big profit. Nestle persuasivley argues that it’s time to put public health first and provides some ideas on how to get started.